a modius at her feet. 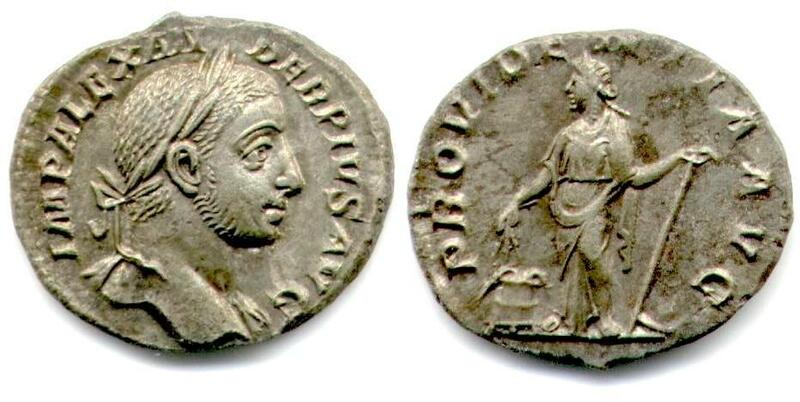 denarii - 4 of Severus Alexander, 4 of Elagabalus and one of Julia Mamaea, found in the UK. each time followed by a bath in demineralized water. Baths lasted several hours each. once again followed by a bath (lasting several hours) in demineralized water. A no point did I touch this coin with any tools like brushes, picks, etc! Minted in Rome 231 A.D.